Cool things I've found wandering around the inter-web. #1 2016 | Libby's Lifestyle. Who doesn't love a little inter-web wandering? There's so much amazingness out there in cyber space just waiting to be discovered, just waiting to make us drool, dream and be dazzled. So, what have I found for you to begin 2016? Most of you know that MLP and I are in the throes of becoming a little nomadic. I wrote about some of my research into the caravan v motorhome discussion here. So, it should come as no surprise to you that caravans and caravanning inter-web stories catch my eye. This one, the Noshery Camper, is a transformation from grand-pa's old van into a modern caravan-ing oasis. 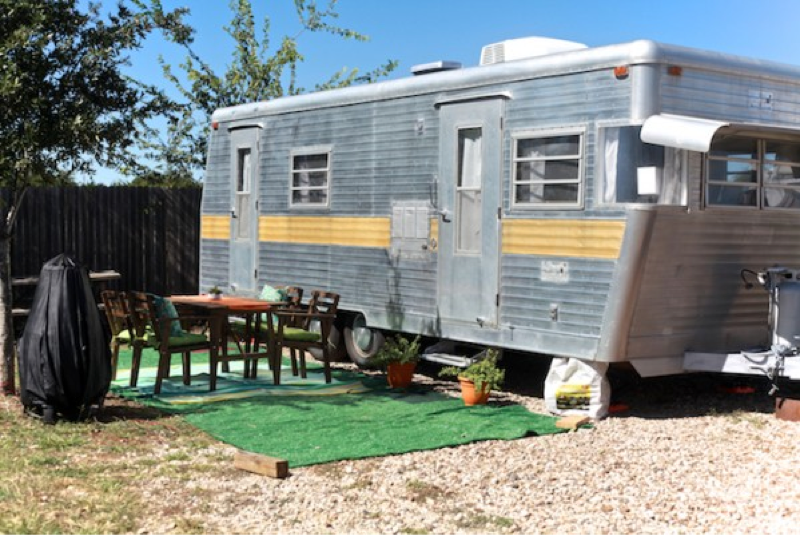 Don't be misled by the outside of this caravan, click here and take a tour of its renovated interior. More inside intel on how it was done is here. 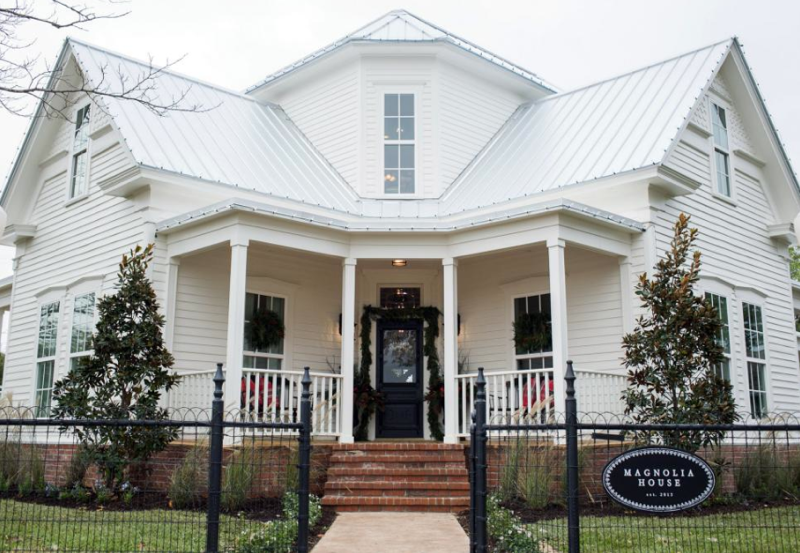 Some time ago I introduced you to Magnolia Homes and Chip and Joanna Gaines. 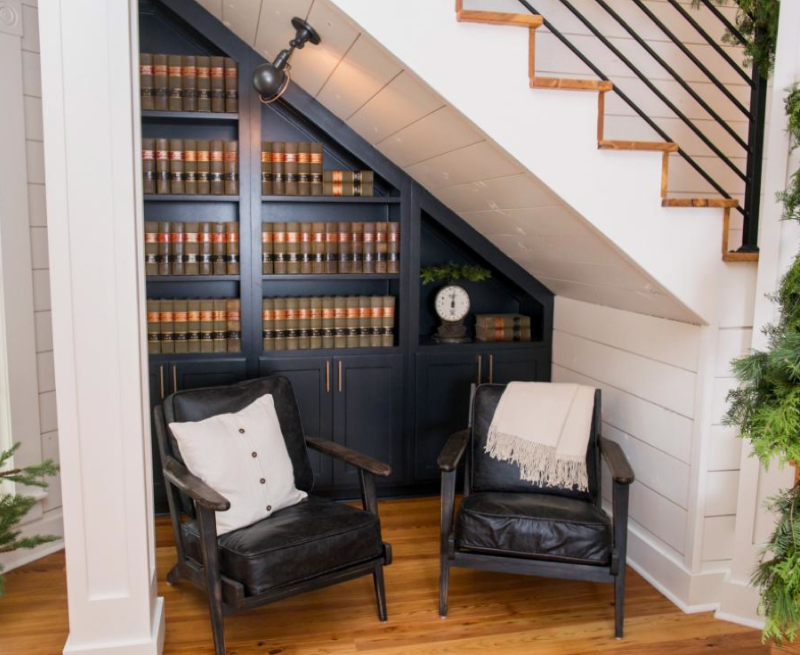 Now, I am totally addicted to them and their ability to convert what they call "Fixer Uppers" into the most stunning homes. Recently, I found Magnolia House BnB. Apparently, so the story goes, Joanna and Chip offered this as a possible Fixer Upper to a client, but it was knocked back. Instead, Joanna fell in luurrve with the house and, hence, Magnolia House BnB was born. I just want to sit in this space and curl up and read. And, I have stairs in my real house that I will return to later this year and maybe, just maybe, this could work?? On my next trip to the US, I want to stay in Magnolia House BnB. Don't you? If you haven't made the move to join Instagram yet, then you're missing out on sooo much. One cool IGer I found recently is @happytiff. 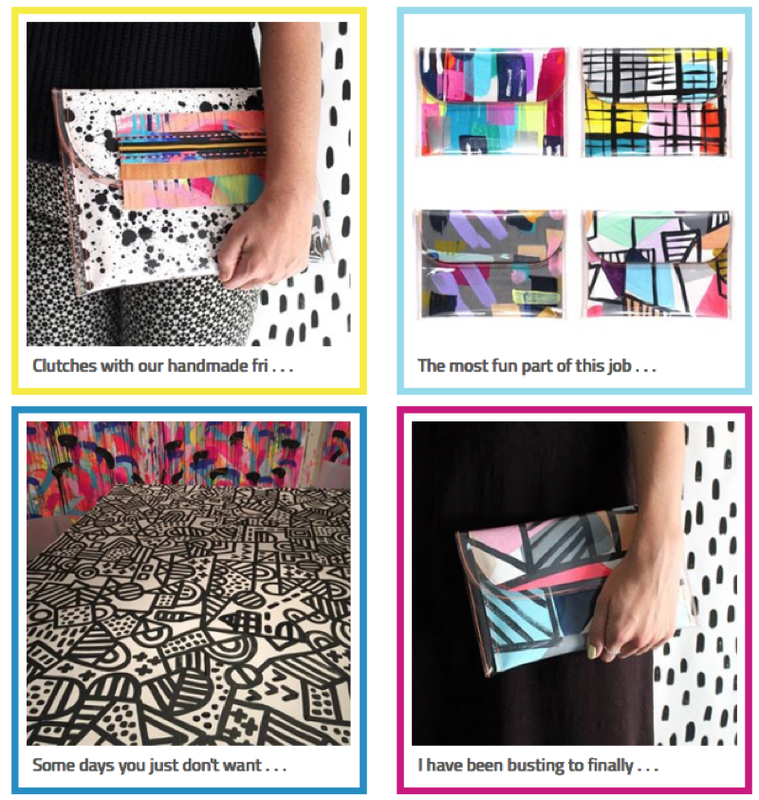 Tiff creates on canvas and then produces clutches and handbags to die for. Bright, colourful, original. Tiff's web site with more of her fabulous creations can be found here. 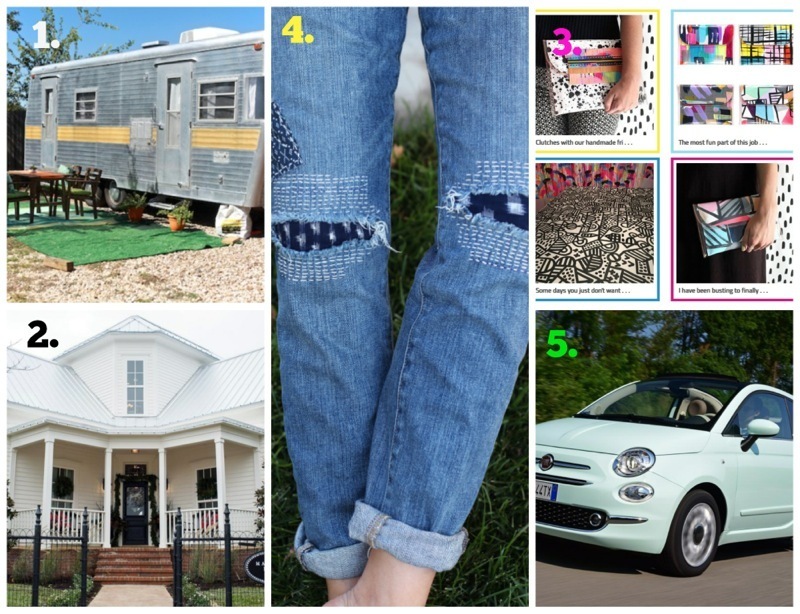 MLP is not a fan of the distressed jeans that are everywhere and, it seems, so on trend. 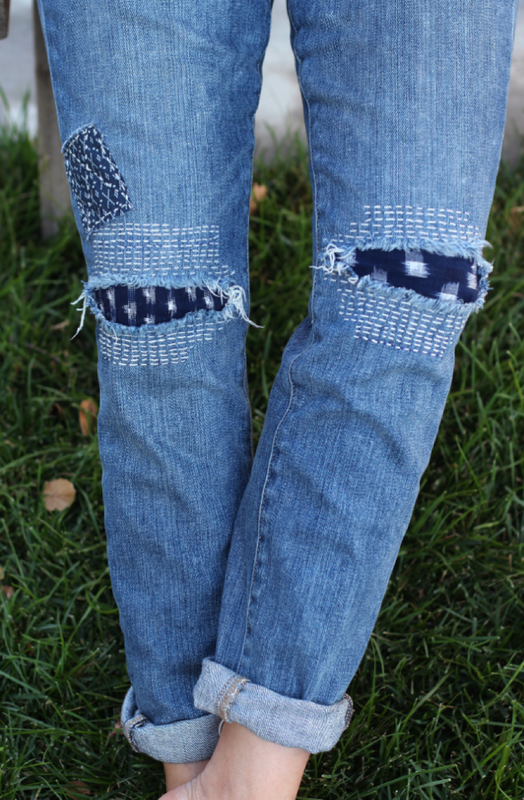 So when I saw these with their shashiko distressing I thought … I like that … hmmm, maybe I could do that. Maybe MLP would like that too. See how it's been done here. And then, while touring around Honestly WTF's DIY pages, I found these. Liked them too. Guess what I'm about to try out on my nails? I think I'm going to spend a fair bit of time scrolling through the DIY section. Veerryyy interesting things. I've never been a big car person. Have never really seen the point. There's usually only me and MLP cruising around. Our Chrysler PT Cruiser is the biggest car I've ever owned. I also like quirky looking cars. Something a bit out of the ordinary. 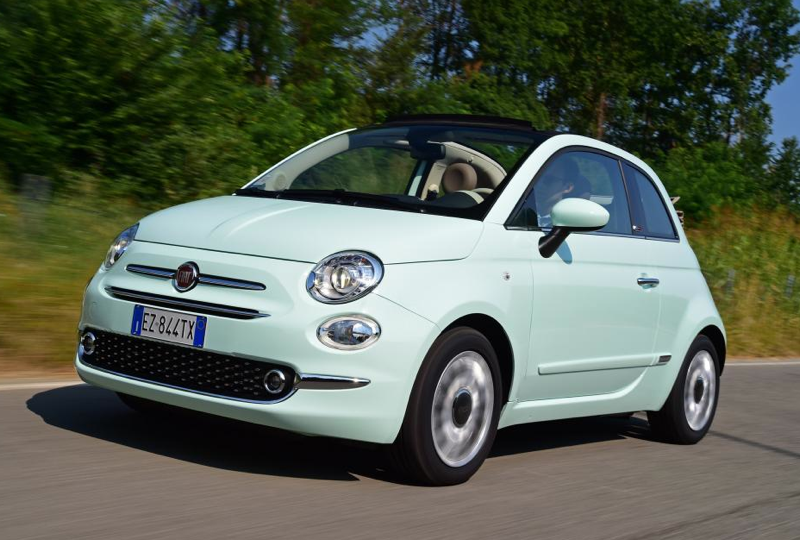 So, why am I waffling on about cars and why the Fiat 500 convertible? Small, quirky, out of the ordinary and … I've ordered one!!!! Yay! My last brand-new-never-been-used car was purchased in 1997. October 22, 1997 to be precise. The cutest Mazda 121. Millie, whom we still have. 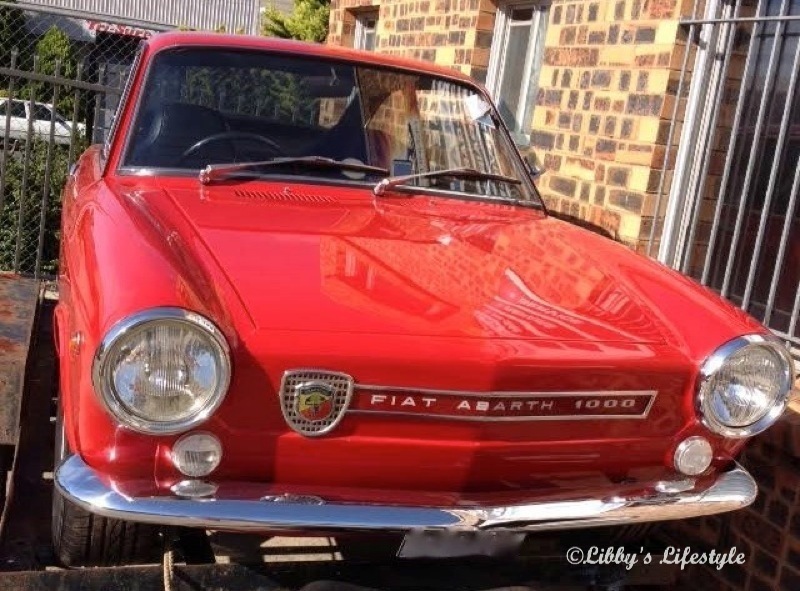 This new little Fiat is due to arrive in May or perhaps June. My new car will look like this. Almost. Mine will have a black convertible roof. Want to see more photos of my new car?? Click here. Now to think of a name. I have Florence Fiat as a possibility. Any suggestions please??? And, as usual, to finish off, a photo of my own. Not because it's a great photo, (taken with my iPhone) but because how often do you see something like this vintage Fiat Abarth? It was just chillin' outside my local Auto Electrical place when I was there the other day. 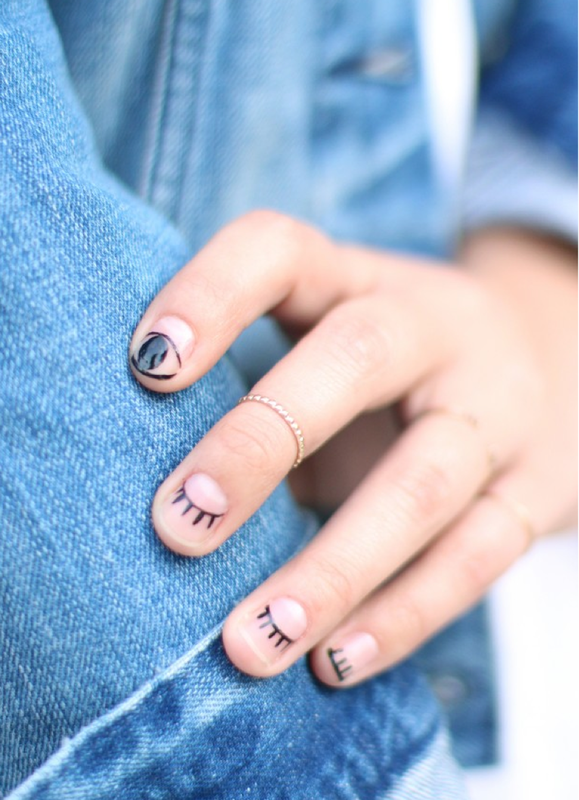 Very cool, don't you think? 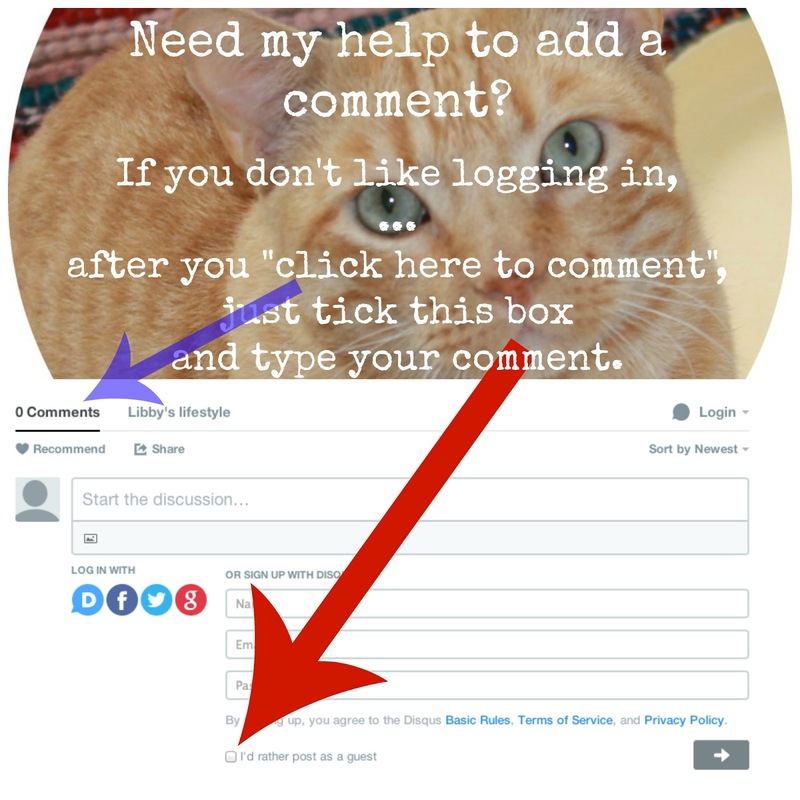 I'd love to hear what you think about the #1 web-links for 2016. Please "Share" on your favourite social media site.